Are there overgrown trees on your property? Looking to improve the curb appeal of your yard? No matter what your tree service needs may be, Hunter's Tree Service is here to help. 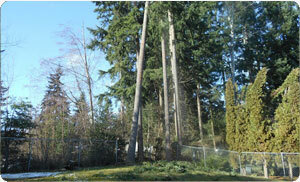 We have an ISA certified arborist serving Frederickson, WA, and its surrounding areas. Whether you need a certified arborist for your Frederickson home or business property, we are your right choice. Allow us to help you keep your trees looking healthy and vibrant all year round. We also offer 24-hour emergency storm response service. We evaluate your needs and educate you on all the available solutions. Our team is looking forward to helping you with all your tree care needs. Trees have a great influence on the environment. Keeping your trees well-maintained not only improves tree structure and safety, it also improves the market value of your property. If you need a certified arborist to look after your trees, you have come to the right place. Residential and commercial clients alike rely on us when they need a certified arborist in the Frederickson area. We have the knowledge and resources to keep trees looking healthy and beautiful. Whether you require tree trimming or a treatment for tree diseases, we can offer you a professional advice and service. We are a fully insured business, so you can be assured your tree service needs are in safe hands. 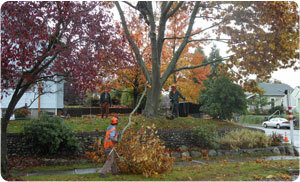 Why Choose Us for Tree Care Services in Frederickson? Trees are a wonderful addition to any landscape. Your trees require professional attention to maintain their aesthetics, health, and structure. 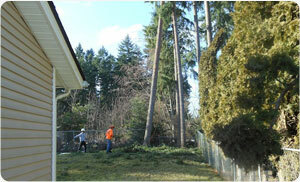 Improper tree care can cause serious, long-term damage. That is why it is best to hire a professional company for tree care. If you would like to discuss your tree care needs with a certified arborist in Frederickson, then give Hunter's Tree Service a call at (253) 777-1938.